1. There will be a special News icon during Kingdom Wars. 2. 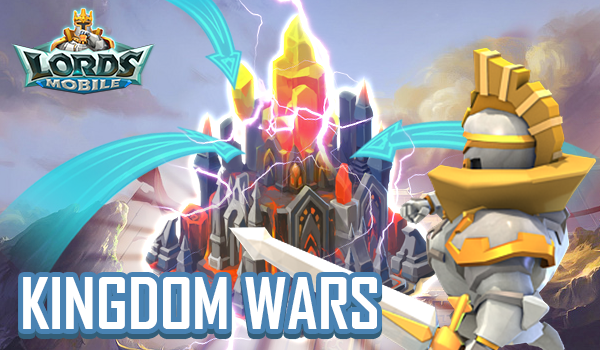 There will be three events: Kingdom Wars, Guild War, and Solo War. 3. The victors of Kingdom Wars will be determined by Kingdom Rankings. Kingdom points will be shared by all players from the same home Kingdom. This event will last for one day. Ranking rewards: All participating Kingdoms will receive Gem Lodes. guild members will receive the checkpoint rewards. Guild rankings will be calculated after the event ends. Guilds with a high rank in this event will receive many great rewards. This event lasts for a day. Guild members can accumulate points during this time. distributed after the event ends. This event lasts for a day. How do I travel to a rival Kingdom? 1. During Kingdom Wars, rival Kingdoms will have a special appearance. 2. Player can tap on the “War Transportation” button and use a Random Relocator to enter rival Kingdoms. in the Kingdom map, and use a Relocator. 4. Players can attack other players, Wonders, and hunt Monsters in rival Kingdoms. 5. Players can also use the War Transportation feature to return to their home Kingdom. minute the base/fort is soccupied. fixed amount of points for every minute the base/fort is occupied. 1. During Kingdom Wars, enemy Turf and Resource Tiles will change in appearance to make them immediately clear to players. killed or sent to the Infirmary. 1. You can get event points by damaging or killing monsters in a rival Kingdom. 2. This allows players with active Shields to participate in the event. begin. During this period players will no longer be able to earn points. 2. Base and Forts will go into either Protection or Battle Phase. Battle Phase: Unoccupied Wonders will enter Battle Phase to give players another chance to occupy them.